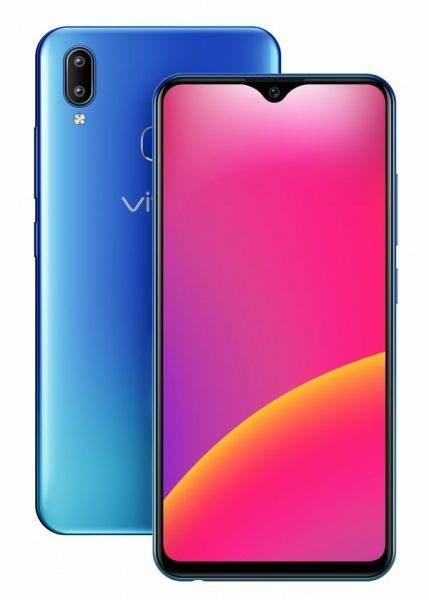 Vivo has launched today the Y91 with 6.22 inch Halo FullView Display (1520 x 720 pixels resolution) having an almost bezel-less screen for an immersive viewing experience. Vivo Y91 is packed with a massive 4030 mAh battery and a dual rear camera setup at the back. This phone is powered by the MediaTek Helio P22 processor combined with 3GB RAM and 32GB of internal storage. It runs on Funtouch OS 4.5 operating system based on Android Oreo 8.1. For photography, this phone is armed with 13MP (f/2.2) + 2MP (f/2.4) dual camera at the rear and an 8MP (f/1.8) selfie camera. The rear camera supports flash for extreme low lighting conditions and an array of additional photo editing features like Face Beauty, Time-Lapse, Palm Capture, Portrait Mode, Slow Mode, Voice Control etc. This is Dual SIM supporting phone and also offers connectivity options of 4G VoLTE, Wi-Fi, GPS, Glonass. For security, it has fingerprint sensor on the back. The Y91 is priced Rs. 10,990 and comes in Starry Black and Ocean Blue colors. It will be available on Amazon, PayTM, Vivo India E-store and all offline partner outlets of Vivo.